What Products Contain Alpha Hydroxy Acid? Can Sesame Oil Help Wrinkles? L'Oreal offers a comprehensive collection of anti-aging skin care available in drug and discount stores at reasonable prices. Products include serums, creams, eye creams, moisturizers and cleansers developed using anti-aging technology and research. Options are available for women of different ages and skin types, including older skin, dry skin and oily skin. L'Oreal skin care product lines for aging skin include Revitalift, Collagen Filler, Ideal Skin Genesis and Age Perfect. The company also produces anti-aging cosmetics, including foundation and lipstick formulated to benefit and flatter mature skin. Anti-aging products rely upon ingredients such as vitamin C, collagen, retinols and pro-lastyl, which restores elastin in the skin, to firm and freshen the skin. Ideal Skin Genesis helps to even your skin tone and treat fine lines, while Revitalift, Age Perfect and Collagen Filler are designed for deeper lines and wrinkles. Whether you're in your 20s or your 60s, you can choose a L'Oreal skin care product customized for your needs in terms of moisture, wrinkle treatment and firming. L'Oreal's Age Perfect products are designed for women over 50, while the Collagen Filler product line promises to plump deep lines. Ideal Skin Genesis products work especially well for women in their 30s. According to L'Oreal website, Revitalift is an excellent choice during your 40s. If you have sun damage or deep lines and wrinkles, you may find it helpful to opt for stronger anti-aging ingredients at a younger age. For the best results, use a comprehensive skin care regimen. Even in your 20s and 30s, anti-aging skin care should include a gentle cleanser, moisturizer with sunscreen and eye cream or serum. You may also find it helpful to use a rich skin serum under your daily moisturizer and to opt for a separate night cream, especially as your skin becomes drier with age. 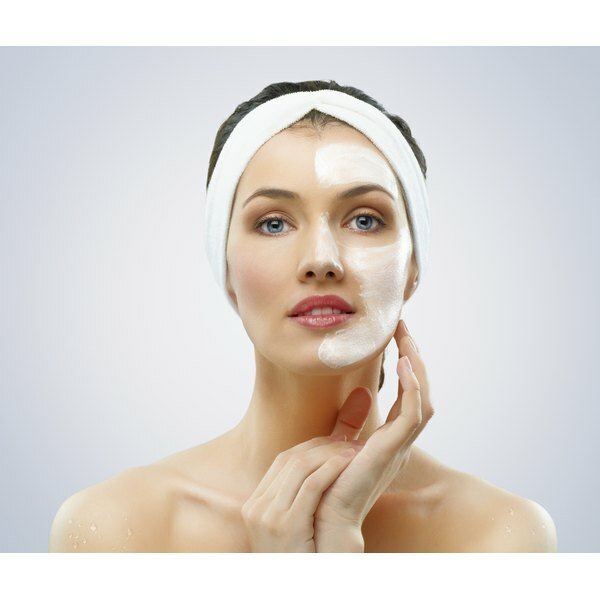 Smart skin care can improve the overall texture and appearance of your skin. If you are young, you may be able to delay the signs of aging with sunscreen, moisturizers and retinols. Over the counter products, like L'Oreal's skin care lines, are not going to give you the results of prescription topical creams or plastic surgery. If you have sensitive skin, be aware that retinols and other anti-aging ingredients may be drying or irritating. Start slowly and allow your skin to adjust to new products. Can a Glycolic Peel Help With Scars? Does Cetaphil Lotion Help Rosacea? Can Damaged Collagen Naturally Restore Itself?